Why does the Illuminati win all the wars? Why do the globalists always seem to outmaneuver the patriots? How does Deep State forever keep the white hats on the defensive? A psychopath will do anything, anytime, anywhere to win. consider the horrendous consequences of their actions. no matter how barbaric or repugnant their actions are. goals. They will not deliberately perpetrate evil deeds. each and every highly calculated assault on humanity. why the wicked always seem to have the upper hand. way they seem to outsmart and upstage the good guys. moral and decent people finish last. What we’re really dealing with here — on planet Earth — is an incorrigible and criminal cabal of clinically insane psychopaths. These are the people who literally run the world. They also own and operate on every square inch of the planet. Only with this factual understanding can anyone come close to correctly comprehending the true nature of the ongoing war being waged against humanity 24/7. What makes the preceding advice so very wise, important and true? Psychopaths cannot be beaten at their game. They are consummate liars, racketeers and con men. They have perfected the art of criminal one-upsmanship and are cutthroat to the extreme. Because they are so completely deceitful, it’s difficult to believe that someone will lie about everything all the time, and they do. Without conscience and totally unprincipled, psychopaths live in a world of sheer lawlessness. Whenever laws do present an obstacle to their wrongdoing, they are simply broken. As for treachery, they are always looking for victims to abuse and betray. Everyone is prey in the world of a psychopath… … …until they are confronted by a greater psychopath than themselves. This is when they are willing to collude with other likeminded psychos to advance a mutually advantageous scheme such as the Greater Israel project. These are just a few reason why it’s prudent never to deal with a known psychopath. After they have stolen everything you own, they will rip off your arms and beat you over the head with them claiming an act of self-defense all the while. Does anyone ever want to deal with the likes of these sinister villains. You cannot defeat them so why expose yourself to their perfidy. Groupings of psychopaths mutually reinforce each other’s psychopathy in such a way that they take each other on a downward spiral of evil intentions and odious deeds. There is nothing they will not do to outdo each other’s malevolence. NOTHING! A good example of this is how the Sicilian mafia came to be so vicious. The top mafioso got to the top of the heap by his extreme cruelty and criminality that no one else dared to do or challenge. Fear became the primary control mechanism of the capo di tutti capi of the Cosa Nostra. In this way, all the capo’s underlings and henchmen are compelled to strictly follow orders or risk a fate much worse than death. MAFIA: You Don’t Know, What You Don’t Know! The real problem that the United States of America is now facing is that the U.S. Federal Government has been hijacked by a gang of criminally insane psychopaths. This worsening predicament has translated into a major problem for the rest of the world because the USA was supposed to be the self-proclaimed global policeman. Even the FBI and DOJ have gone completely rogue (actually occurred many decades ago) and become the muscle for this international crime syndicate—the Khazarian mafia. As an extremely unfortunate consequence, the nation has become a planetary pariah. The only country that says they like the USA is Israel. Talk about Fric and Frac. Tel Aviv tells Washington where to invade, and the U.S. military shows up right on time…no questions asked. Then there’s Great Britain using their former colony to fight every other war in the realm, many of those also prosecuted in the Middle East. 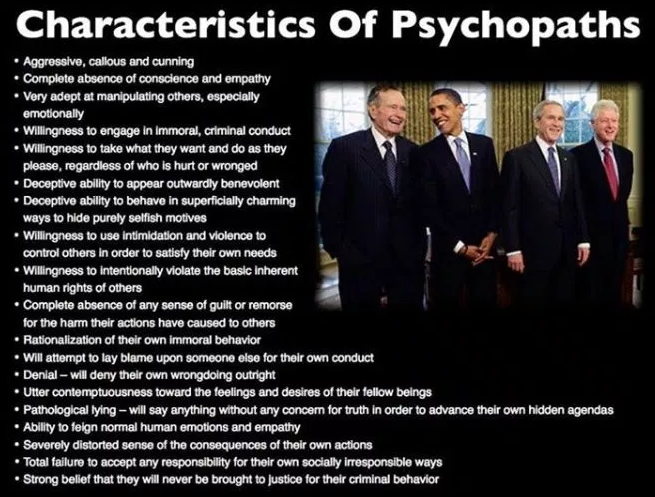 Psychopathic politicians also populate the highest levels of the French, German, Canadian, Australian, Spanish, Japanese, Saudi Arabian, and Belgian governments, as well as many others. Although very few are really aware of this worldwide predicament, the rule of law has morphed into the rule of the jungle. The pervasive psychopathic leadership is just very proficient at hiding this grim reality. In so doing, the baddest of the bad guys are able to effectively run their tyrannies wherever and whenever they choose to. Despotic monarchies such as Saudi Arabia are quite obvious as is the apartheid Modern State of Israel. Countries like the United States and United Kingdom are a lot more disguised as fake democracies which also do their darnedest to display the rule of law…which is actually the rule of the jungle. This is precisely why the US government is currently embroiled in a massive, monstrous and unparalleled constitutional crisis. The Swamp inside the Beltway is being ever-so-slowly drained as the swamp creatures are being forced into rearing their ugly heads. But how did it ever get to be this way in the “the land of the free and the home of the brave”? The best way to truly apprehend the cause of the decline of this once great nation is to understand the deliberate, stealthy and slow-motion ponerization of the US government, Corporate America and civil society. The following exposé clearly spells out how this profoundly conspiratorial process took place over many decades. There is no better example of the crazies running the asylum than SPYGATE. 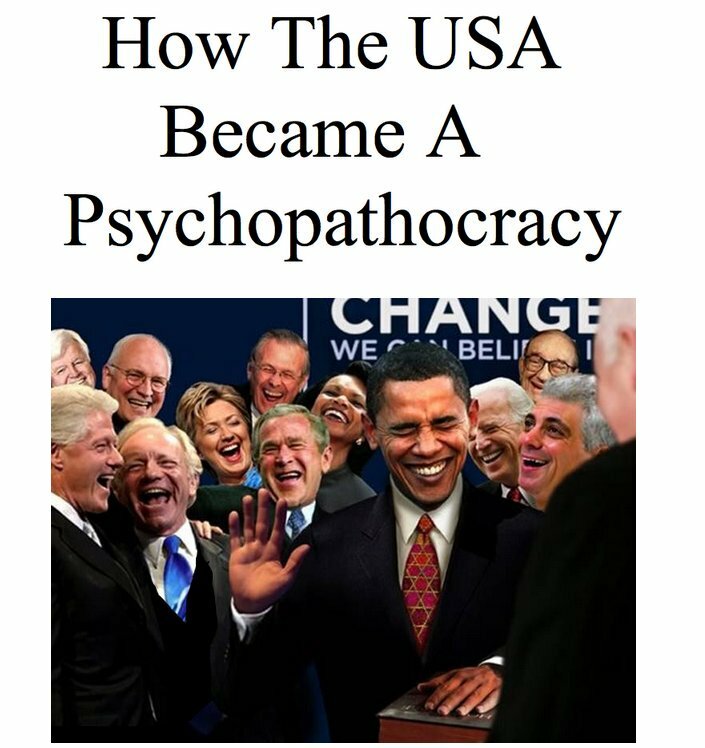 We’re talking about the craziest psychopaths within the American psychopathocracy who were willing to do just about anything to, first, fix a U.S. presidential election in favor of Hillary Clinton and, then, to execute a soft coup against the Trump administration. The very same psychopaths are still out there fomenting a violent coup d’état against President Trump, although they are being much more careful with their seditious implementation plans. This has never happened before, at least not in broad daylight. Yes, General Smedley Butler exposed a coup plot in 1933 but it was shut down post-haste. Of course, this is what SPYGATE was all about. The leaders of the FBI, DOJ and CIA conspired to rig the 2016 election, and then used the mainstream media to sabotage President-elect Trump’s transition, and now attempt to impeach him via false charges conjured up by the Special Counsel Robert Mueller. Even DOJ IG Michael Horowitz is abetting the ongoing schemes of this treasonous cabal. That the final IG Report was actually A Complete and Total Whitewash by Deep StateAgent Michael Horowitz shows just how dangerous this sordid political saga is to the power elite. The establishment knows that SPYGATE has the potential to expose the entire underbelly of the National Security State. This will in turn reveal to the American people that the 17 agencies which comprise the Intel Community are only there to protect the elites, not the U.S. citizenry. And SPYGATE is only the most recent example how the naked rule of the jungle replaced the rule of law in America. When the FBI, DOJ and CIA are all caught up in a criminal conspiracy of epic proportions followed by a massive, monolithic cover-up, you know the whole SYSTEM is broken. This is what inevitably happens when governmental and societal leadership have been so thoroughly ponerized. Which is why mankind is currently experiencing the Twilight Of The Psychopaths. it The Swamp; Washington, D.C. was originally built on reclaimed swampland. Particularly for those with a short memory, try to remember the following sage advice. you don’t deal with them. so that they can never rear their ugly heads again. Given this stark reality, it ought to be abundantly clear that there is only one way forward for the American people. Likewise, there is only one way to restore the American Republic. The body politic must coalesce around this present existential imperative. For this to occur, a sufficient number of patriots must resolve to take back the country from those who have outright stolen it. How might this manifest in 2018? Deep State must be exposed in its entirety and removed from the affairs of this nation. This cannot be done without a critical mass of the U.S. citizenry lighting their torches and picking up their pitchforks. The psychopaths simply will not go without a fight. Remember folks, in 2018, just like torches used to light up the path so does truth disseminated on the Internet. Likewise, the pitchforks of old have been transformed into Facebook pages, Twitter accounts and YouTube videos. Let’s go get ’em … before they get US! KEY TAKEAWAY: Given the true nature of psychopathic cabals, they detest exposure. They always scheme and execute in the dark whenever and wherever they can. 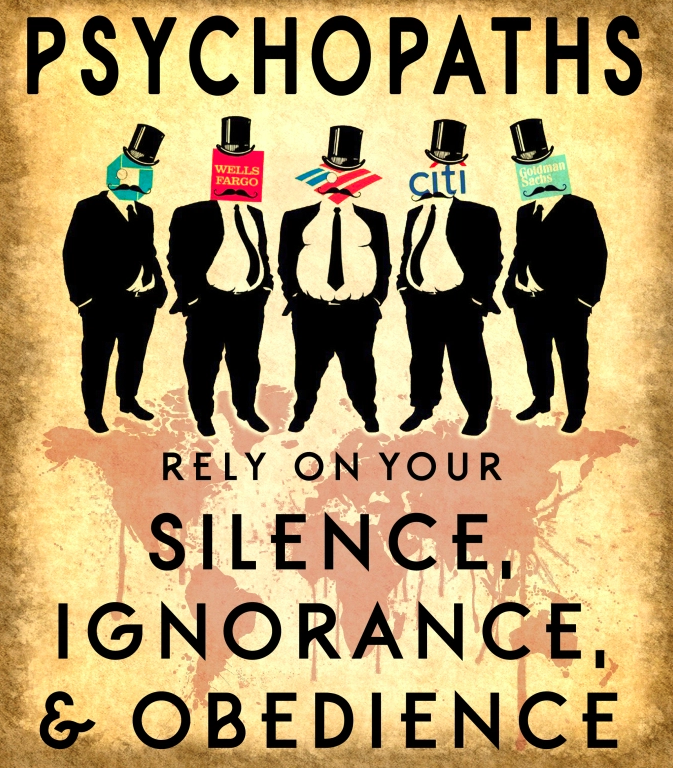 Therefore, psychopaths loathe anything or anyone that reveals the details of their malevolent agendas. This is why they are doing everything in their power to crush the Alt Media. Just as “sunlight is said to be the best of disinfectants”, the light of truth is the most effective weapon in this final battle between the forces of light and forces of darkness. So let’s use it before we lose it.